Well, I’ve managed to do it. Backing up just a bit: Jan got a new barbecue and was pretty excited about it. 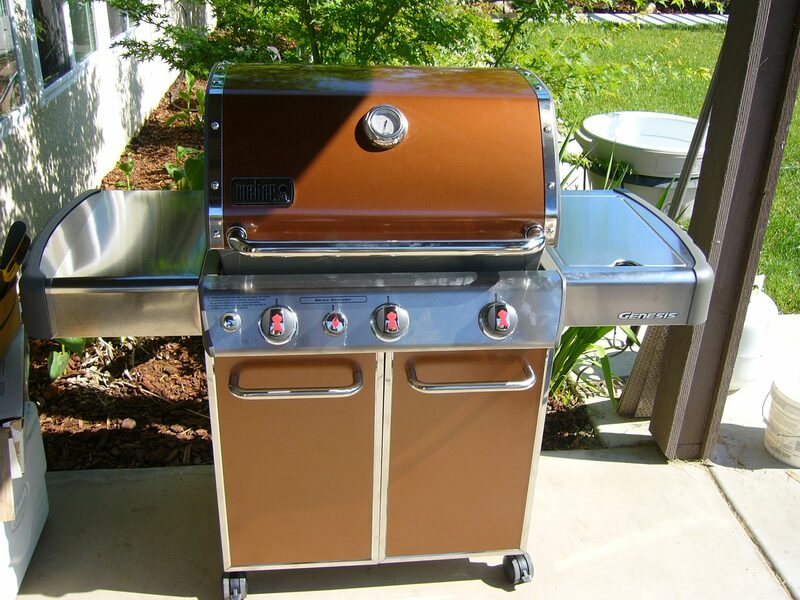 He even posted a picture of it on Facebook with the caption “my new bbq!” (cute). It seemed silly to me that he’d leave for fire season and this big, beautiful barbecue would just be sitting out on the back porch, alone and unused. Besides, what was with my fear of barbecuing in general? Turn all three burners to a little past medium. Leave for 10 minutes until heated up. Place marinated chicken between burners. Turn over in 10 minutes. Check temperature after another 10 minutes. Try to turn only once or twice per side. Allow to rest. Then slice. Light all three burners, turn to medium. Wait 10 minutes. 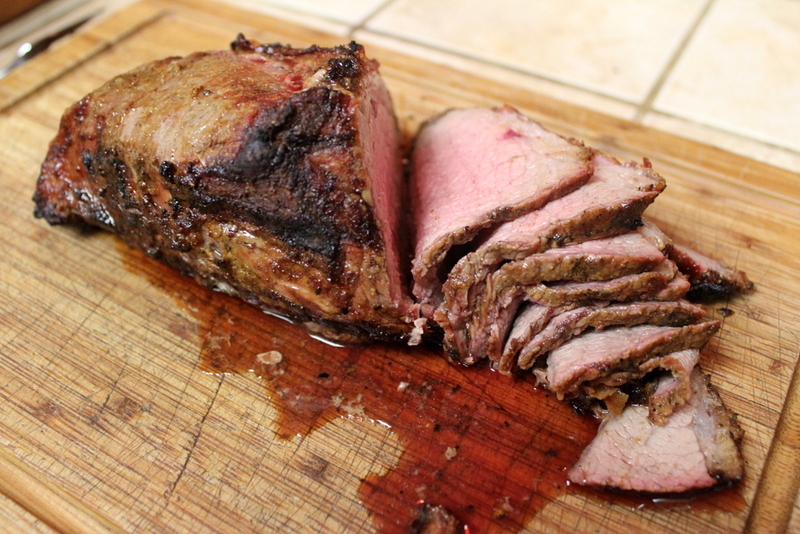 During this time, sprinkle Pappy’s seasoning on both sides of the tri tip. Turn off the middle burner. Put the meat on the grill (in the middle where the burner is turned off), fat side up. Wait 10 to 15 minutes, check temperature. If not 135 degrees, flip again. I had a few moments of fear, but Jan was encouraging. Yes, lifting the top of the barbecue was an arm workout in itself, and add to that the hot air rushing out the moment I lift the top intensifying my feeling that suddenly, everything might catch on fire… but I survived and the results were edible (and actually quite good)! The true test came when Jan left for a fire, leaving behind a refrigerator stocked full of food and me not wanting good ingredients to go to waste. 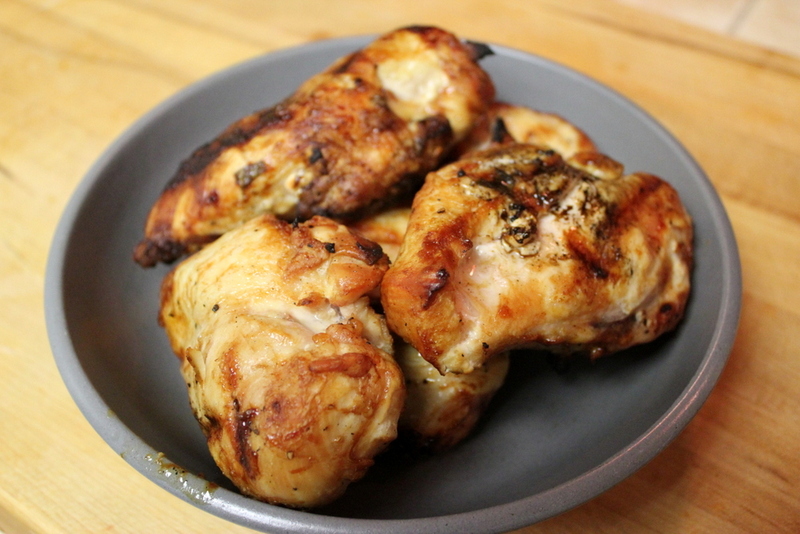 Since chicken was my first lesson, I pulled out my notes, pulled the cover off the barbecue, and took out the two pounds of chicken breasts with the impending best-by date. My lesson with Jan didn’t include marinating the chicken, so after a quick internet search I settled on an easy marinate I could do in a ziplock bag. The results? Surprisingly good! The first time I checked the temperature, it wasn’t high enough so I gave it a few more minutes (and probably too many because the chicken was a bit drier than I’d hoped. Also, the “recommended internal temperatures” printed on the side of my probe thermometer are probably on the safer, well-cooked side ). But overall a success! I remembered the final part of the lesson: turn off the gas, and brought out my knife and fork. Jan had better watch his back! He’s going to have some BBQ competition pretty soon if you keep up the good work! Can’t wait to have your meat on my grill… oh boy. I have the same inexplicable fear – great to see you trying new things, and I’m inspired to learn to grill as well!